People are calling it "appalling." A highly controversial, experimental plan that is tantamount to a death sentence for bears and mountain lions was just approved by the Colorado Parks and Wildlife Commission. 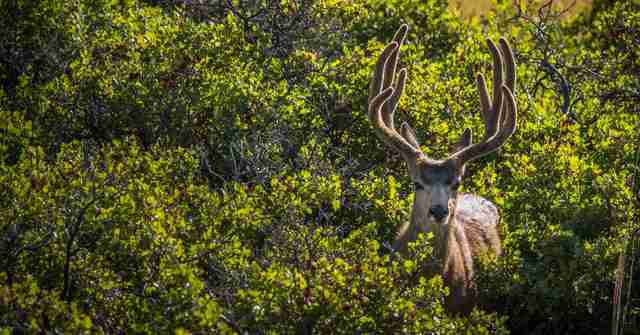 The commission appears to mean well: They are trying to understand why mule deer populations have plummeted. By trapping and euthanizing bears and cougars, the commission hopes to see if this will cause the mule deer population to rebound. "We're trying to understand what contributes to it," commissioner Chris Castilian said. "Everybody is concerned about the mule deer population." 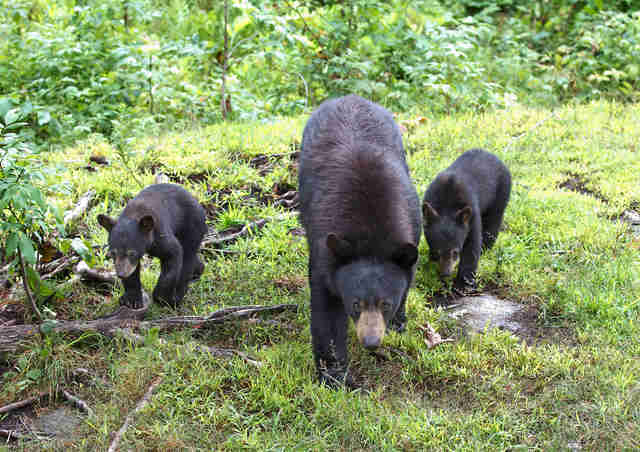 The plan would allow hunters to use traps to catch cougars and bears who would then be shot. Many scientists and conservationists are outraged because they say the decision isn't properly based in science and that it would be a waste of animal life and money - $4.5 million in tax dollars, to be exact. It could even violate the law. "The commission's utter failure to heed the warnings of dozens of our nation's leading scientists about the many flaws in the proposed cougar and bear killing plans is appalling," Bethany Cotton, wildlife program director for WildEarth Guardians and one of the presenters at the commission meeting on Wednesday in Fort Collins, told The Dodo. Dozens of local residents joined her to express their opposition to the plan to kill bears and mountain lions. Not only did the commission fail to address major concerns about the plan, according to Cotton, such as how it will prevent non-target animals from getting caught in the traps, it also threatens to undermine an earlier trapping ban. In 1996, Colorado voters banned trapping by constitutional amendment out of concern for cruelty to animals and their young. "The Commission's approval ... demonstrates their total disregard for the public will, the humane treatment of wildlife and scientific integrity," Cotton said. Trapping is controversial because it threatens the lives of more than just the animals captured. The indiscriminate nature of traps means that mother animals with dependent young could get caught, depriving her babies of the help they need to survive. The plan would allow for 15 mountain lions and 25 black bears to be killed each year - not accounting for the young who might not survive without their moms. The plan also ignores major factors affecting wildlife of all kinds, predator and prey, like habitat depletion because of gas drilling and development and road construction. "The large-scale factors influencing mule deer and causing declines are not native predators," David Steen, assistant research professor at Auburn University Museum of Natural History, told The Dodo. "If Colorado wants to maintain a large population of mule deer, I would encourage a holistic view of how native species persist in the wild, recognizing the important ecological role of predators, and focusing time and money on the primary factors contributing to wildlife population declines, i.e., our use of the landscape." The Colorado Parks and Wildlife Commission did not immediately reply to The Dodo's request for comment. To express your concern about this plan you can email the commission at dnr_cpwcommission@state.co.us or sign a petition here.